We are about to enter what we will come to know as the BIGGEST change in privacy reforms in history. The current credit rating system is set to be overhauled with the introduction of new Privacy Regulations (made under the Privacy Act). The new amended Act is set to commence on 12 March 2014 and includes changes to how financial institutions can collect, use and disclose your information to credit-reporting bodies. Under the current scheme, a lender can only access information on credit enquiries and major ‘negative’ credit events such as default and bankruptcy. When the new scheme is introduced your financial institution will now be allowed to share your credit liability information ; when accounts are opened and closed, credit limits and your repayment history by providing details of whether your payments have been made on time OR NOT. If you fail to make loan or credit card payments on time, it may affect your ability to obtain credit in the future. All of this information will be included in your credit report. Credit providers use this report to assess whether they approve or decline any request for new or increased loans or even credit cards. If you’ve been good (and I mean really good) – then not much. If you’ve been bad, then we have some work to do. Missed a payment (even unintentionally). Overextended your credit card (even just a little). Gone on a holiday, racked up your card and then delayed payment for as long as you can until the bank is knocking on your door, then this is considered bad. Had overdue accounts or payment defaults. What does this mean when you are applying for a loan? This information will affect your ability to borrow in the future. Further, if one bank rejects you, then the next one will more than likely too, even if they don’t know the other lender’s reason. What can you do about maintaining a good credit rating? Keep an eye on your repayments – DO NOT be late or miss them. Scheduling reminders can help to remember. Don’t apply for too much credit and avoid making multiple applications over a short period of time. It is possible each application will show up on your file. Lenders may question the need for so many applications and may decline you on that basis. Use direct debit to pay your bills on time – most institutions allow you to direct debit the minimum balance EVERY month. Even if you like to pay the balance in full this will ensure your payment is made on time. You can then pay the additional (balance) each month as you please. If you are going away for an extended period and you know a bill will be due then schedule the payment for the due date via internet banking – or ask someone else to pay it while you’re away (if you can trust them to pay it on time). But can you really afford to put this responsibility in the hands of other people? You simply cannot do a double payment in March to cover a payment for April. It has to be scheduled against the actual date. It’s a good idea to check your credit report every year to make sure there are no mistakes that could affect your credit record and your ability to get credit. You can get a copy of your credit report for free if you can wait 10 working days. You may have to pay if you need it quicker. If you experience financial hardship and are unable to make a repayment, always contact your credit provider before the repayment is due to discuss the situation with them. Everyone! Especially teenagers and young adults who may be looking to get their first home loan soon. Anyone you know who is struggling financially at the moment who you know isn’t paying their bills on time. Everyone you care about who will need finance in the future. These changes were made to provide you with increased protection over how your information is held and shared. Lenders will now have a better understanding of your credit needs and your ability to repay any debts. If you have an excellent payment history, this WILL HELP YOU to obtain finance in the future. You have additional rights for accessing your credit information. You can complain if you think the information held or shared about you has been mishandled. If you have any questions regarding the new Privacy Act please do not hesitate to contact us at Indigo Finance. When applying for credit it is becoming increasingly more important to present your financial position in the absolute best light for the lender to ensure approval. If you do not know how to do so and then the lender declines you – it’s on your record. 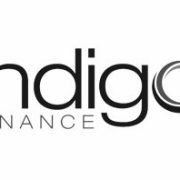 When you use our services at Indigo Finance, we will know who the best lenders for your situation will be and there will be a greater chance of having your loan approved. Now we can’t promise this by the way. But you are going to have a greater chance with an experienced broker than you will by trying to do this yourself. Your credit information will be available to all financial institutions. Also, if your mortgage insurer declines your insurance, then guess what? – the next one probably will too. Without any reason except that someone else has, so it is important to get it right the first time. To apply for a free copy of your credit report, you can contact these national credit reporting agencies or our offices. You don’t have to pay a fee to get a copy of your credit report, you may just have to wait a little longer to get it. If you think this article may be helpful to anyone you know please forward this on to them by using the share or email links at the top of this page. For more information review The Privacy Law Reform www.oaic.gov.au or see the credit reports section of www.moneysmart.gov.au.